A year has passed since last Ramadan. It was a year filled with happiness, excitement, sorrow, grief, anxiety – an array of emotions created by the diverse set of events that happen in our lives. We warmly welcome each Ramadan as it is a time to escape from the preoccupation of dunya to focus on ourselves and our iman. Whilst we all work on our worship and faith throughout the year, Ramadan is a month that offers the opportunity to reap mountains of reward, work on our character as well as develop a deep connection with Allah . One of the most generous blessings of the month of Ramadan is the opportunity of having our dua (supplications) accepted. Last year, we shared ideas on listing down some awesome duas for an awesome year, providing you an awesome worksheet (which you can download and print) to help you properly plan your duas for your deen, dunya, akhirah. 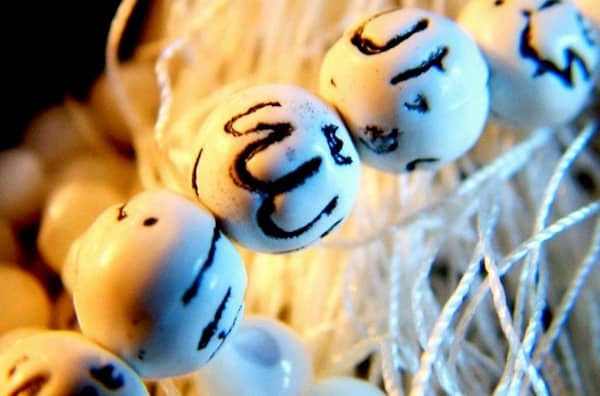 In this article, we’ll go through some of the most important duas you can make daily during different parts of your day in Ramadan, In sha Allah. A believer wants nothing more than his/her dua, be it for aspects of the dunya or betterment in the akhirah, to be accepted. Dua is the weapon of the believer; there is nothing else that can directly and regularly shield, protect and arm us against the trials and tribulations of this life like dua. With the blessed days of Ramadan approaching, it is important that we formulate an action plan to capture these invaluable moments and make as much dua as we can. Allah is the All-Knowing and He understands our duas that are made in absolutely any language. However, by the mercy of Allah , we are blessed to have been given the exact words we need to use within our duas. Duas do not need to be elaborate in length. Aisha reported that the Messenger of Allah preferred duas that were few in words and comprehensive in meaning [Abu Dawud]. This is a vital reminder for those who will be working or studying this Ramadan: it is not the length of your dua that matters, but rather the meaning and intentions behind it that are of importance. Before Ramadan begins, make a list of duas for everything you desire. This can be as long or short as you like. It is useful to place these duas under a few headings to make it easier for you to remember them. Have a list of goals you want to achieve, even if they are small. Be sure to include your goals in your dua list so Allah can help you be productive in achieving them. Memorize the dua for daily activities and some of the duas mentioned below. Do not worry if you can’t; just write them down on a paper or in the notepad on your phone so you have them at hand whenever you have a few spare minutes. Make some dua cards to stick around the house to help your family reap the benefits of making dua. These can include the dua for going to the bathroom, climbing the stairs, leaving the house, etc. There is a set of duas that should be made in the morning, the majority being found in the Fortress of the Muslim. Either purchase a copy of the pocket-sized book or download it as a dua app on your phone. Spend some time after fajr reciting these essential duas asking Allah to make your day a productive one, protecting you against the whispers of shaytan and the distractions of dunya. “Let not your tongue cease to be moist with the remembrance of Allah.” [Jami` at-Tirmidhi]. Whilst on your commute or school run, you can easily make attentive dhikr and short dua. Your commute will add up to a significant amount of hours over the month, so be sure to make this time worthwhile. After wudu, in sujood and after obligatory salah are three times when dua are accepted. With food out of the question, you now have plenty of time to spend on these actions during your lunch break. If your day is super busy, utilize the moments around your obligatory prayers to connect with Allah and make dua for everything on your list. The Messenger of Allah said, “A slave becomes nearest to his Rabb when he is in prostration. So increase supplications while prostrating.” [Muslim]. These are the activities that will take up most of our day. We often resent actions that seem to have nothing to do with our ibadah in Ramadan. Make use of this time by remembering Allah. In your breaks, be sure to bring out your dua list again. Also, this is a great time to make dua for your school, work and family goals as you are already engrossed in those activities. Like in the morning, there is a set of duas to make in the evening. Ensure you have some time to sit after praying Maghrib to supplicate. Ramadan is a beautiful opportunity to develop family relationships. Especially those with children who go to university or work, dinner times together as a family can be a rarity. Eat and make dua together for the things you want to achieve as a family. Teach some dua to your family members and reflect upon your day’s achievements together. There are many optional prayers a believer can add into their life. In Ramadan, many pray taraweeh. This is an additional time to bring our dua list and focus on your relationship with Allah . Make sure you get enough sleep before you start the next blessed day. However, before going to bed, be sure to reflect upon the reason this month is upon us and ask Allah to continue to help you grow as a Muslim. Then, make wudu and pray two rakahs (or more units) of tahajjud. Leave yourself some time to sit and ask Allah for forgiveness and guidance. There are some additional times when duas are accepted that we should be aware of. Try to supplicate, even if it is for a couple of minutes, within these times as well as those mentioned above. The blessed night of laylatul qadr could be truly transforming of one’s destiny throughout the year. “I asked: “O Messenger of Allah! If I realize Laylat-ul-Qadr (Night of Decree), what should I supplicate in it?” He replied, “You should supplicate: Allahumma innaka ‘afuwwun, tuhibbul-‘afwa, fa’fu ‘anni (O Allah, You are Most Forgiving, and You love forgiveness; so forgive me).” [At-Tirmidhi]. If you’ll be travelling during Ramadan, be sure to utilize your travelling time to make all the duas you’ve shortlisted and anything else you think of at that moment. Think of our ummah in different parts of the world and ask Allah to alleviate their suffering, grant them aid and sustenance and bless them with peace and security. Also, depending on when you’re travelling, see if there are any recommended duas to make during that time and make those as well. I hope the above breakdown of recommended and suggested duas for different times of your Ramadan day is beneficial to you and will help you in utilizing your time in Ramadan to make as much dua as possible, in sha Allah. Use the comments section below to share the duas you want to make this Ramadan and don’t forget to make dua for all your brothers and sisters around the world!